Every Sunday morning in my house I make brunch. It can vary from scrambled eggs and pancakes to omelettes and yogurt parfaits. My menu usually includes amazing maple turkey and apple wood smoked bacon from the Amish Market. Sometimes I get in the mood to be creative and make a new recipe to spice things up. 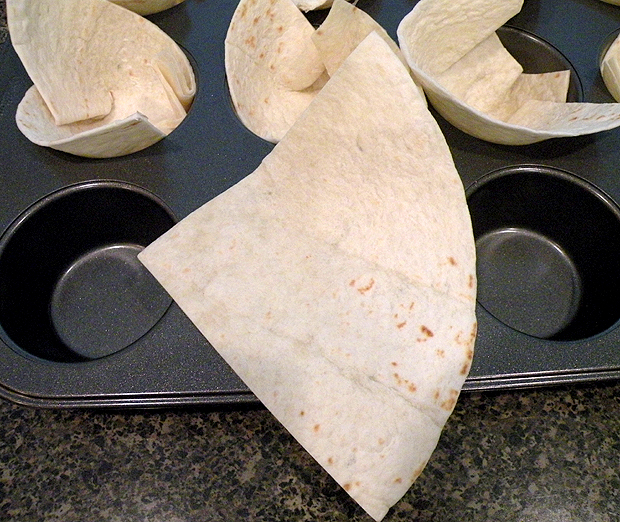 This past Sunday, I decided to put a spin on a traditional quiche and make them in a cupcake pan lined with flour tortillas. 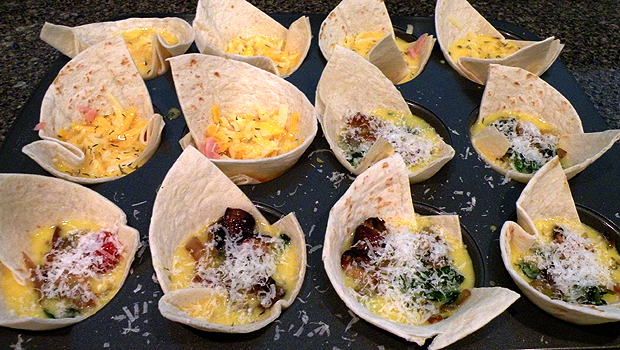 They came out absolutely delicious — the tortilla became crispy and brown and the eggs and cheese melded together in total harmony. The beauty of this incredible breakfast delight is that I didn’t need to use a fork — it can be picked up and enjoyed without any mess. The leftovers heated up very well for a yummy Monday breakfast. 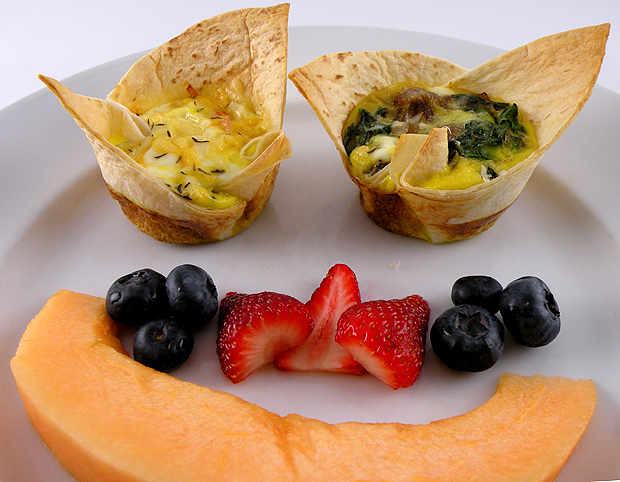 These would also be great to serve at a party or for a Mother’s Day brunch. 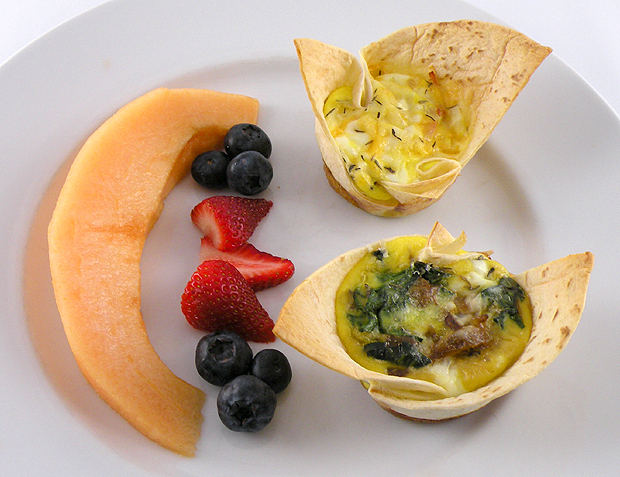 Here is my recipe for my mini quiches. Step 1: Add 1 T olive oil in a saute pan and cook the onions and mushrooms over medium heat until lightly browned and soft. 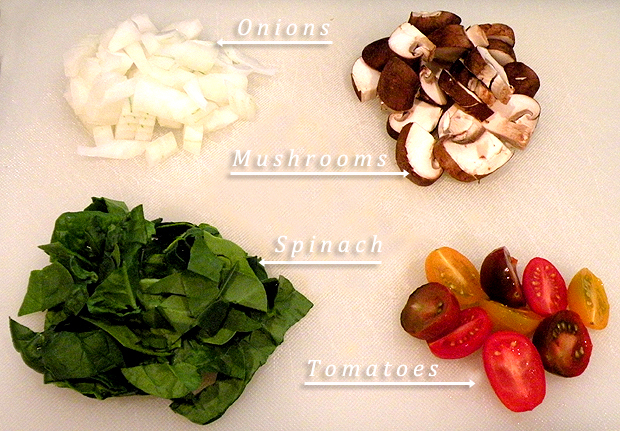 Step 2: Add the chopped spinach and tomatoes and saute until the spinach is wilted. 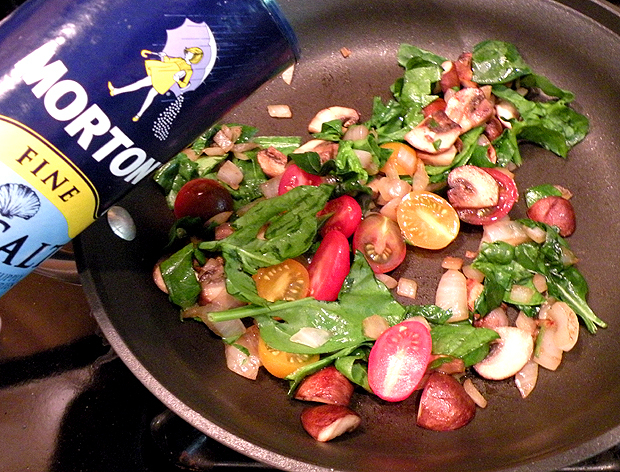 Add sea salt to taste and remove from heat. 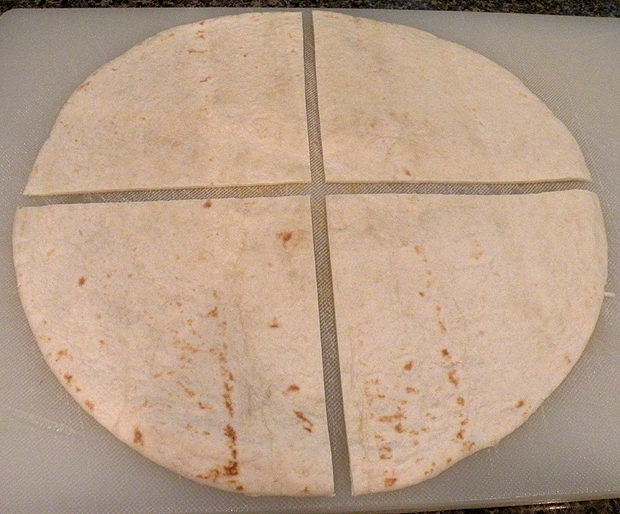 Step 3: Cut tortillas in to 4 equal parts. 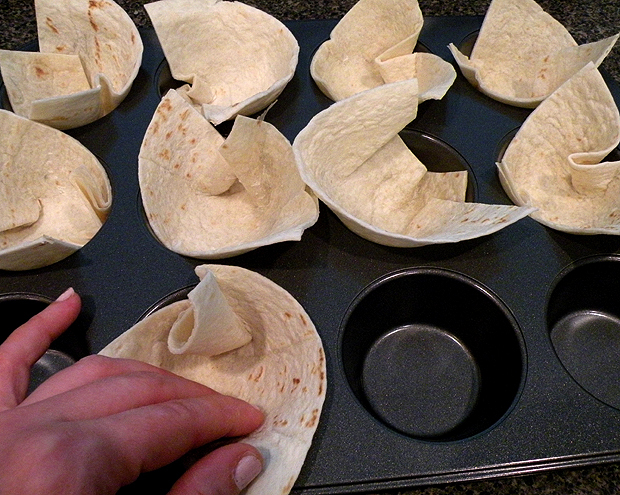 Step 4: Fit the tortilla pieces into the muffin cups. 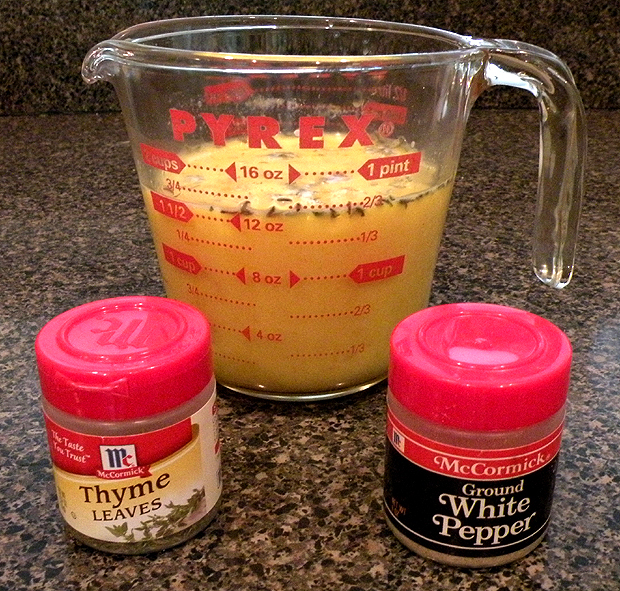 Step 5: Whisk the eggs, milk, salt, white pepper and thyme together in a glass measuring cup. 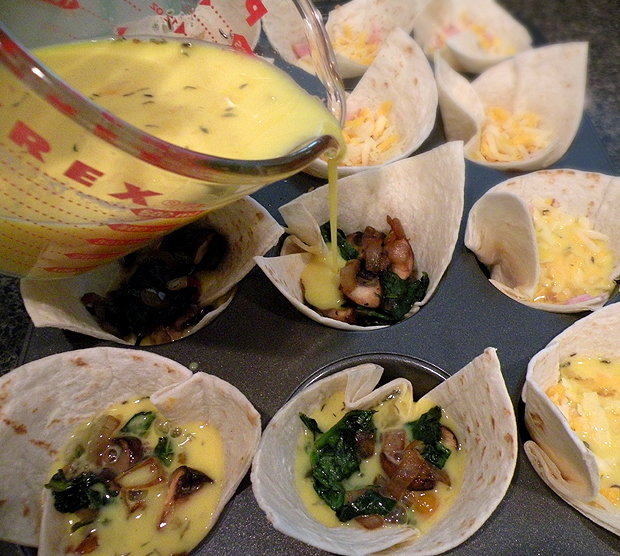 Step 6: Fill the tortillas with the ham and cheese mixture for half of the cups and the spinach, onion, mushroom mixture for the other half. Step 7: Pour the eggs into the cups until they are about 3/4 full. Step 8: Grate Parmigiano Reggiano over the spinach quiches. Step 9: Bake in a preheated 350 degree oven for about 15 minutes or until golden brown, rotating the pan half way through so they cook evenly. 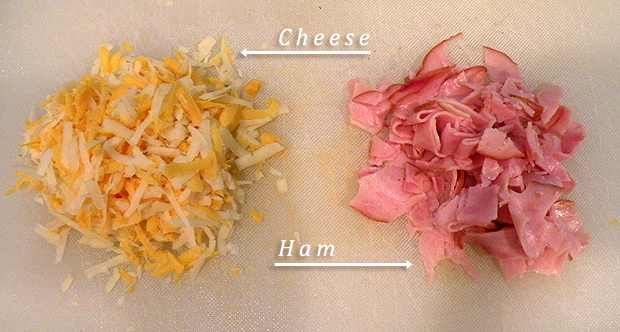 Step 10: Serve warm or at room temperature. Enjoy! 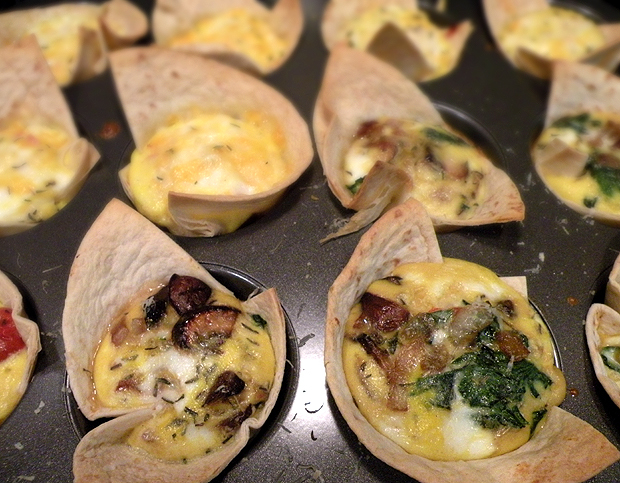 This entry was posted in Food, Holidays, Mother's Day and tagged breakfast, brunch, cupcake eggs, cupcake pan, eggs, Gina Tepper, ham and eggs, mini quiche, Mother’s Day, muffin pan, omelette, onions, Quiche, spinach, Sunday brunch, tortilla. Bookmark the permalink.